Everything to see and do in the picturesque Mackay Regional Botanic Gardens. This year, over 100 Botanic Gardens across Australia and New Zealand will celebrate the fourth Annual Botanic Gardens Day and highlight the vital work undertaken for plant conservation. Plants are critical for life and Botanic Gardens are essential for us to be able to preserve, conserve and learn about plants. Whether you’re interested in gardening, bird watching, native flora/fauna, local conservation efforts or just looking to get the family out for the day, we’ve got you covered. 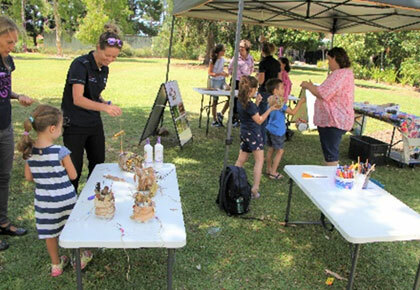 The new and exciting ‘free native plant program will be launched at Botanic Gardens Day 2019. Bring your rates notice to receive four free native plants! 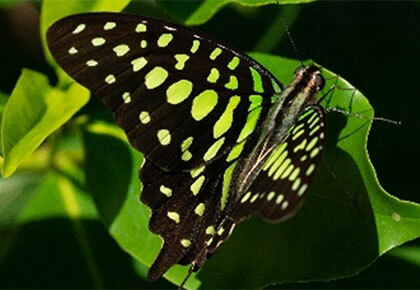 For a limited time, Mackay Regional Botanic Gardens Visitor Information will be transformed into a live butterfly display where you have the unique opportunity to come and see some of our local treasures up close and personal. Gold coin entry to display, all children under the age of 16 years must be accompanied by an adult. Celebrate 50 years of the ‘The Very Hungry Caterpillar’ book with the Libraries team. They’ll be hosting special readings and themed activities throughout the day. Learn about the rare and threatened plants in our Botanic Gardens with members from Society for Growing Australian Plants (SGAP). > Why not make a day of it? Bring your picnic blanket, find a spot and enjoy the entertainment by the Mackay Ukulele Group while you relax and soak up the sunshine. For a limited time, Mackay Regional Botanic Gardens Visitor Information will be transformed into a live butterfly display where you will have the unique opportunity to come and see some of our local treasures up close and personal and learn about their host plants. Exit the display in to the Tropical Shade Garden and follow the trail to discover more about our native beauties and their host plants needed for survival. Find out which plants you can grow at home to create your own butterfly garden! Wear bright coloured clothing to increase your chances of a butterfly landing on you! Butterflies like to land on anything that looks like a flower - red, white and pink are popular colours. Please note: Numbers may be restricted at times; short waiting periods may be required. For further information, please contact botanic@mackay.qld.gov.au or 4952 7300.